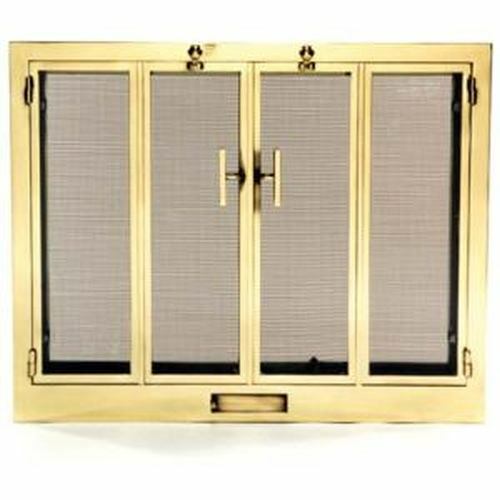 These bi-fold fireplace doors and screens are wrought by craftsmen skilled in the traditional Bosse' family ways of fire and forge. Each Bosse' fireplace door is a massive affair, hand fitted with quarter inch tempered glass panels. To fit an opening of 33¾” by 26¼”. Brass English Antique Finish.